The ENS 3000 is an electronic level switch with integrated display. Therefore, the instrument has 1, 2 or 4 switching outputs and an analogue output signal is available as an option. What’s more, in addition to the standard minimum and maximum switching signals, with the 4 switching output version, it is possible to set additional warning signals to prevent problems. E.g. tank overflow or aeration of the pump. The ENS 3000 can also serve for oil as well as water. The selection of the fluid type can be for specific applications via the menu. The main applications of the ENS 3000 are primarily in hydraulics, e.g. 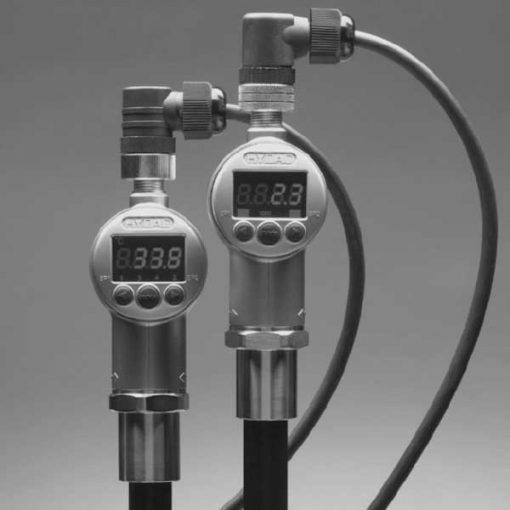 for fluid level monitoring of a tank. Furthermore, the ENS 3000 is available in standard probe lengths of 250 mm, 410 mm, 520 mm and 730 mm. The instrument is also available with or without integration of a temperature sensor.